"Speculation. M. Gentileschi, excellent Florentine painter, adds on his palette a single drop of amber varnish coming from Venice, with which they varnish lutes, chiefly to the flesh areas, and this is to spread the white and soften it easily, and to make it dry sooner. By this means, he works when he wishes, without waiting for the colors to dry entirely. The varnish, although red, does not spoil the white. Vidi"
" At the shops of all the color sellers in Italy, they sell a thick oil they call Amber Oil of Venice. It is strongly turbid, but they have an artifice, either with crushed bricks or bread crusts, to clarify and bleach it. This oil, mixed with the colors on the palette already ground as usual with linseed or walnut oil, makes them flow, prevents them from entering and sinking in, and renders them lustrous like glass, of an excellent brilliancy. I believe that this is the oil of which Gentileschi spoke to me and of which he makes use. It has no foul odor at all." Also from the manuscript: "He (N. Lanier who was given the direction by Gentileschi's daughter, Artemisia) told me (De Mayerne) that it is necessary to mix two parts of very clear Walnut oil with one part of said Amber varnish (Vernice D'ambre de Venise), and to combine them well over a very slow heat; that to make use of it is necessary to pass a very soft sponge imbued with said varnish over the dead colors and immediately paint over; that this makes the colors flow and intermix perfectly, so that when the piece of work is dry (to touch), in rubbing it again with the varnish (oiling out) the work is easy at whenever time one puts oneself to it." Note: the above information comes down to us from a Primary Historical Source, the T.T.DeMayerne Manuscript, and appears to be accurate in every way. These particular word-translations from the Demayerne manuscript come from a published essay "Amber Varnish and the Technique of the Gentileschi" 1999, written by the painter Mellville Holmes, a well- respected authority of historical oil painting-technique. The three separate references, when considered together, provide all the clues necessary for identifying and re-creating Orazio Gentileschi's amber varnish, a substance usual to varnishing musical stringed instruments and widely available to artists in Italy during the 1600's. It would seem the varnish was used much by oil painters of the time. Landscape Painter, May of 2001 (up-dated 2003), Frostburg, Maryland. It is interesting to read research articles concerning historical painting technique -- articles produced as a result of modern scientific analysis of Old Master works. Very often, such research offers findings not in accordance with the traditionally accepted historical word. For instance and of good example, history has maintained resins were used commonly by the Old Masters with their handground oil paint. Realize, such information of resin-use abounds within the old manuscripts. I should say from the outset, modern commercial tube-paint is different than that sort of handground stuff available to the olden days. The modern stuff contains stabilizers and often other additives to make it behave better. A slight thinning with turps or some raw oil and things will generally go as you want them. The old stuff was made from pigment and various oils and did not always perform so well. For instance, Smalt was a blue which could be mulled with Walnut oil into a nice buttery paint. Brushed on thinly, it did the job. However, if applied in a thicker manner, it was known to"melt" and would trickle (run) down the canvas overnight. Often enough, todays artificial Ultramarine pigment when made into oil paint will do the very same. One historically-known method to solve this type of problem: a bit of a resin was added to the paint before use. Historically, up until the 1600's, most varnishes in use by painters were oil varnishes, again, made by boiling the resin in extremely hot oil (600-700+ degrees F.) until it combined with the oil and formed a clear union . This clarity of the final varnish showed the resin was perfectly incorporated within the oil. I should add here that some "soft" resins appear to melt into moderately hot oil to a clear state but only while it remains hot; upon cooling, the mixture becomes cloudy, indicating a less than thorough combination of the resin with the oil. In fact, very often the resin will in time precipitate out of suspension with the oil and accumulate at the bottom of the container [this necessary high-temperature cooking "rule" does not always apply when combining Balsams with oil. Though not yet a pure resin, a balsam is the natural resinous exudate from the parent flora and still contains its essential oil component. This essential oil has a "hotness" of its own and helps accomplish the dissolution of the resinous content within the oil with little or no heating; thus, a mostly clear resultant oil varnish may be attained without a drastic heating. To add something, I have found varnishes which remain "cloudy" do not produce as insolvent or glossy a varnish film as the "clear" solution versions]. Oil varnishes are inherently slow-drying by their nature, but can be cooked with metallic salts or other agents to speed the drying process. Further, due to the drastic high temperatures necessary to their production, oil varnishes are generally rather dark in initial color. As for spirit varnishes, these were/ are often more easily made than oil varnishes by simply solving some resin/s in a variety of distilled "essential-oils". These essential oils, like Alcohol, Turpentine, and oil of Spike Lavender, were becoming widely available to commerce by the 1600's. Spirit varnishes 'dry' by the evaporation of their essential oils, which can happen quickly enough. Though quicker-drying than oil varnishes, depending upon need, a slower-drying essential-oil varnish could be made using, for example, Turpentine; while a very fast-drying version would make use of Alcohol. As Hard resins are more difficult to dissolve within essential oils, soft resins, like Mastic or Sandarac and other Coniferous resins were generally utilized most. As no carbonization occurs in soft resin spirit varnish production, typically, these varnishes, in contrast to oil varnishes, are lightly-colored. Of course, this lightness in color added to their charm and ready preference among many oil painters. As indicated above, traditional methods of painting technique as supplied by the old manuscripts and technical books of oil painting show the oil varnishes were often used for actual painting purposes-- as oiling out lubricants and as additions to the paint itself. This use was a common practice before the 1600's. Beginning with the 1600's these usually darkly-colored oil varnishes were replaced --little by little-- with a preference for the lightly-colored spirit varnishes. Without doubt, spirit varnishes made good final protective and eye-pleasing varnishes over a dried work, but the actual use of these pure resin carriers began to also find use between and within the paint layers-- either as isolating layers (retouch varnishes) or "cold" additions to oil paint itself. This use of spirit varnishes mushroomed after 1700 and continues to this day. Of course, there are 'shades of gray' between spirit varnishes and oil varnishes. For instance, I know that a spirit varnish added to oil paint will certainly be influenced by (and test assumably for) a drying oil in the mix. I also figure there were occasions where a painter would add some oil to his spirit varnish to slow its drying or add flexibility. This simple oil addition would necessarily compound the difficulty of chemical detection between oil varnishes and spirit varnishes, resulting in further tests to determine the make-up. Still, the actual resins used in these different type varnishes should be detectable in the old paint....given Modern Science's ability to detect such things as genetics of blood from tiny samples, this would be generally assumed ' common sense '....but I think this may not be necessarily so....test-able Blood is, after all, a pure substance.....an oil varnish is not. This brings up the role of Modern Science and what it can tell us about the old ways of painting. Be it known, in stark contradiction to the known historical word, much of the research performed around old master works in recent years and using the best up-to-date analysis techniques show resin-use to be very limited or non-existent within the actual paint. According to such studies, resin-use seems almost universally confined to the upper-most or final coatings of these old works. Thus, this modern-day research is indicating the old paint itself is nothing more than oil and pigment and contains no resins. Certainly, paintings can be made with pigment and oil alone. I am aware of old painting technique "beginners" manuals from the 1600's, written by Pacheco, Hidalgo, Velasco, and others showing use of oil and pigment only (see Zahira Veliz's "Artist's Techniques in Golden Age Spain- Six Treatises", Cambridge University press, 1986). But I am also aware of other 1600 writings which promote the use of resins; one such is the manuscript of the well-traveled physician T. T. de Mayerne (hereafter written as "DeMayerne"). Obviously, there was no universal painting code established during this golden epoch of oil painting. In fact, there was widespread debate. Even today and beyond this 'resin-use versus no-resin-use' debacle, there are those who condemn the use of resins as a sure means to ultimate painting failure. I am one who believes the resolution to this timeless debate can be had by a simple yet careful scrutiny of little more than History itself; that all the necessary clues reside comfortably therein, and, by means of the resultant lapse of nearly 400 years time, the assayed truth can be easily and perfectly gleaned. The concept is simple: seek out those perfect works that have come down to us and reveal their method and their medium. Of course, Modern Science has been trying to do just this very thing....but are they truly succeeding? I have recently read over the research concerning the Getty Museum's discovery/recovery and analysis of three Gentileschi paintings commissioned by one Giovan A. Sauli in 1621, finished 1622. This article appeared in Burlington Magazine, January of 2001, pages 4-10. The three works are known as "Lot and his Daughters", "Danae", and "Penitent Magdalen". Much of the article concerns findings/considerations surrounding resins, as Orazio Gentileschi was a known master of the 1600's and his production methods were recorded to have involved the use of Amber Varnish. Of prime consideration to and against historic technique and knowledge, the Getty researchers have not found or identified Amber resin in any of these works by the master Gentileschi. Of course, due to necessary brevity, magazine articles are far from encompassing in their coverage. Still, what is presented in the Getty Museum research article seems quite encompassing and detailed. I wish to relay herein certain salient findings and other considerations-- my own included-- generated by the Getty research. I must also recommend, all those interested in such modern-day painting research should read this magazine article. If I might summarize the Getty Museum's findings in a nutshell, it is this: One painting known as "Lot and his daughters", painted 1622, has come down to us in excellent condition. By use of fluorescing light analysis, the researchers say this painting seems to have some sort of resin used with the oil paint throughout the entire work. Above the actual oil paint and covering the work are two final varnishes; one darkened outermost varnish that was easily removed; and another underlying tougher varnish tested to be composed of a mix of Rosin and Copal resins. As the underlying varnish is tougher and quite old yet barely colored, it is thought by the Getty researchers this particular Copal/Rosin varnish is the likely original "Amber Varnish" applied by Orazio Gentileschi....and, thus, the master did not make use of an actual Amber Varnish at all. Of notable importance: there is no mention by the researchers of an oil being a part of either final varnish; that is, they both appear to be spirit varnishes, and not oil varnishes. The actual paint in this "Lot" painting was noted to be in excellent condition. The restorers found the work initially covered by two surface varnish coatings. The outer-most varnish-layer was a thick but darkened natural resin varnish-coating (composition not given). This darkened layer was easily removed by organic but unspecified solvents (organic solvents have bases of Carbon. Alcohol and Turpentine would be classed as organic solvents). Beneath this dark outer-layer was a thin but tougher transparent natural resin varnish-layer. This second underlying surface varnish is only slightly yellowed (Page 7, last paragraph) and was not found to be darkened anywhere on the work, though it was discolored to a transparent yellow-gray in a rock area (page 9, second paragraph). It is inferred by their removal not disturbing any painted areas, that neither the thicker darkened top varnish, nor the thin transparent varnish layer contained actual pigment. This transparent varnish (likely a spirit varnish as no drying-oil like Linseed or Nut is mentioned) was composed of Coniferous tree resin (Rosin is mentioned) and a Copal resin having a similar 'fingerprint' to a known "Manila" copal (page 9, 4th paragraph). The researchers imply this varnish was not composed of a mixture of oil with a soft resin (page 9, paragraph 4). From what I know about these types of copal-- AKA, Agathis copals-- this "Manila-like copal" resin may have been either a soft or a hard (very aged) variety. Copals are quite difficult to dissolve in oils, resulting in dark varnishes not so suitable as final oil painting varnish coatings. However, an old trick for getting copals to melt with less darkening (carbonization) was to powder then cook them into hot Venetian Turpentine, or any number of pine rosins or balsams. This scheme would result in a fairly light-colored rosin-and-copal mass that could then be easily dissolved into a spirit carrier, such as turpentine. Know that the rosin content would likely mitigate some of the insolvability of the pure copal during later varnish-removal. Along these lines, I should mention the Getty conservators/researchers were indeed able to remove this particular copal and rosin varnish-layer without harming the actual paint layer of the "Lot" work -- obviously, we can surmise the actual paint of the "Lot" must have been rather tougher than this copal/rosin varnish layer ( page 9, second paragraph, shows its subsequent removal did not harm the underlying paint depicting a rock). This transparent varnish does not appear to bridge some surface cracks in the work, indicating it is likely quite old and was applied before much surface cracking had occurred ( page 8, 1st paragraph ). Citing the finding of some un-bridged surface-cracks, the Getty Museum researchers are inclined to think this Copal/rosin varnish layer might be older than the darkened outer varnish layer; further, they suspect it may be original to Orazio Gentileschi's own hand. A section of this transparent copal/rosin varnish-layer on the neck and chin area of one 'daughter' was found by the researchers to have been, at some time in the past, removed by an apparently strong solvent that also destroyed a final scumble layer of paint in that same area (pages 8 and 9 ). A sample of this same copal/rosin varnish-layer was found to be removable w/o harming the underlying paint by use of stronger but unspecified organic solvents (page 7, last p.) than that needed to solve the previous and darkened thicker top-coat varnish. Also very important: there is no indication these additional presumed resin-in-oil layers have darkened or sallowed the paint. In fact, repeating myself, the nearly 400 year-old paint of the "lot and his daughters" is noted by the Getty conservators to be in excellent shape. Now for some historical words: T.T. DeMayerne, a Primary Historical Source to the same time-period of these works, states very clearly in his manuscript (see beginning references) that Orazio Gentilechi's normal practice was to use a drop of Amber Varnish mixed in with his paint and also an application of this same oil varnish-- thinned with twp parts walnut oil-- as an oiling-out layer between dried and fresh paint-layers. DeMayerne notes the drop of Amber varnish caused Gentileschi's flesh tints to become "softened" and made them dry sooner, plus a thin application over dead (sunken) colors -- i.e., oiling out -- allowed the superimposed colors to "flow and intermix perfectly" (supplied from DeMayerne's Manuscript, page 10, paragraph 3 of the Getty article). The amber varnish is referred to as "Amber Oil of Venice" (Huile d'Ambre de Venise). I have come across this mention by DeMayerne concerning the Amber Varnish of Gentileschi often in my own research of painting technique and materials. I have also performed much in the manner of re-constructing historical painting varnishes and mediums. Be it known, I not only read over the historical word but then do often construct the old recipes and attempt actual painting with these mediums and varnishes. I also want to note here that this info contained within the DeMayerne Manuscript is very confusing as regards the usual performance of hard resin varnishes when added to simple oil and pigment "handground" paint. You see, considered generally, historically proper amounts of Amber and Copal cooked into a boiling oil ( usually Linseed oil) and that resulting cooked oil varnish added to hand-ground paint should cause a degree of thickening, stiffening, but slumping and leveling of that paint. Of course, this levelization would be the fault of the oil part of the varnish having become pre- polymerized as a result of the extremely high temperatures necessary to dissolve the resin within it. This effect is similar to that of adding our current-day Standoil or a well-sunned oil to our paint. Such oils have become somewhat pre-polymerized in character and exhibit dragging effects and levelization of the paint they are compounded within. Often enough the applied paint will not keep its place on the support and begin running down the surface with gravity. There are differences, however, between poly or pre-poly oils (like Standoil or Sun-thickened oils) and oil varnishes. The Resin content of an oil varnish will necessarily inhibit the running and trickling effects normally encountered by use of poly-oils alone. Again, the resin-content causes a stiffening character. This is an advantage of resin varnishes over poly-oils when used as additions to the artist's paint. Adding an evaporative essential-oil like turps also helps a poly-oil behave, though there is no mention of that device being used by the Gentileschis. Using my own handground paint (rubbed up with the knife to a heavy cream consistency), I have found this usual poly-like-levelization-yet-stiffening-effect typically takes only one drop of the Renaissance-type hard resin oil varnishes. But even more is required with modern commercially-available tubed paint due to the use of stabilizer additions, like Aluminum Stearate, which thicken the paint and keep it crisp. By contrast, pure spirit/essential oil varnishes do not contain a poly-like oil; a single drop of an essential-oil varnish will usually cause raw oil-compounded handground paint to either slightly or greatly stiffen, become "short", and 'keep' its sharp impasto topography with no slumping or levelization. Considering this characteristic of resin-use, it certainly would appear this usual stiffening property flies against the very words of Gentileschi when describing the "softened" and "flowing" effect of his Amber Varnish. Might there be something odd about Gentileschi's Amber varnish? Re-iterating, the noted "softening" effect certainly seems at odds with the normal effect of hard resin-in-oil varnishes on oil paint. Something else: there is another passage in DeMayerne's manuscript I should mention herein. DeMayerne's reporting over the "softness" and "flowing" nature of Gentileschi's paint stands at 180 degrees of opposition and confusing odds against the experience shared by then famed portraitist Sir Anthony VanDyck. In speaking with deMayerne, VanDyck strictly maintains (Eastlake, vol.1, p.535) that an amount of DeMayerne's "good amber varnish" mixed with his (VanDyck's) colours on the palette in the manner of Gentileschi thickened [the colors] too much, and, in consequence, [the colors] became less flowing. Thus, from DeMayerne's manuscript we have Amber Varnish causing two seemingly opposite effects with two well-known Figure-painting masters of the very same early 1600's time period; one man in Italy loves Amber varnish because it makes his paint soft and flowing; the other painter in England finds it disagreeable as it makes his paint stiff and non-flowing. Needless to remark but I will, this is amazingly odd. I suppose it is possible to make many and various different varnishes using just Baltic Amber and oil but my own experience making the stuff, in several different ways, leads me to conclude the various types cannot be that far apart in their super-added effects on paint. Modern conservation researchers have built their sturdy cases around examinations of original very old paint chips. As with the Getty analysis, small extractions are taken from various parts of the famed old master works and subjected to various apparati and chem-tests. However, the aged old stuff is useless for examination as regards another consideration, which is, why the olden painters would choose the paint to begin with; and so it seems just as important-- maybe more so-- to see what might come from a consideration of the fresh new paint instead. Amber varnish is extremely dangerous to make as it requires heating the oil and resin to around 700 degree F. I will not recommend this act to anyone. Of course, there are many experts today who decree Amber to be impossible to combine within a hot fixed oil. By contrast, everyone agrees hard Copal can be combined with a boiling-hot oil; doubtless, this mistaken notion might lend to beliefs over Gentileschi using something else-- like the easier-dissolved Copal-- instead of Amber. But, of course, taking the word amber to mean amber, my experiments have centered around that ancient material. I've been making varnishes for many years; I have made thousands of these varnishes in varying ways from varying materials. Amber is unquestionably a troublesome material to combine perfectly within a fixed-oil, such as Linseed. Contrary to the thoughts and claims by most scientists and other experts, Amber can indeed be combined with a fixed-oil using the very same materials mentioned in the old manuscripts and other writings. Of course, with much experience, making Amber Varnish becomes a simple operation; I have no problems getting the Baltic Amber and linseed to combine in my cooker. During my initial 2001 trials, I made the amber varnish according to a general recipe found in Eastlake and known as the typical German Amber Varnish. Eastlake wrote of this amber varnish being the same basic critter to that varnish being produced in Italy. The operation went according to plan and the "German Amber Varnish" produced was clear, transparent, though a bit darker than my usual method of making Amber Varnish. Aptly described, it was thick like Molasses though lighter in color. Pure, by itself, it would barely flow, though a small thinning with turpentine (an actual ingredient noted in the old German formulas) on the cool-down made it very manageable. Mayerne cited two uses for this varnish; the first being it was used 'straight' as a one-drop addition to the paint nuts on the palette; and also thinned with 2 parts walnut oil, which made it a medium that could be utilized for thinning paint and also for lubricating the painting ground and between layers. I have a good supply of un-refined Walnut oil which has become bleached and drying by age, though it is not yet exhibiting any poly-effects. To make Gentileschi's "amber medium", I added two parts of this oil to one of the constructed German Amber Varnish, and, after heating for better immixture, obtained a thin Amber medium. This resulting lightly-colored compound of Amber Varnish and Walnut oil-- essentially colorless in itself but about the color of bourbon when viewed within the glass bottle-- was added in one-drop amounts to handground Lead White paints made separately using both Linseed and Walnut oils. 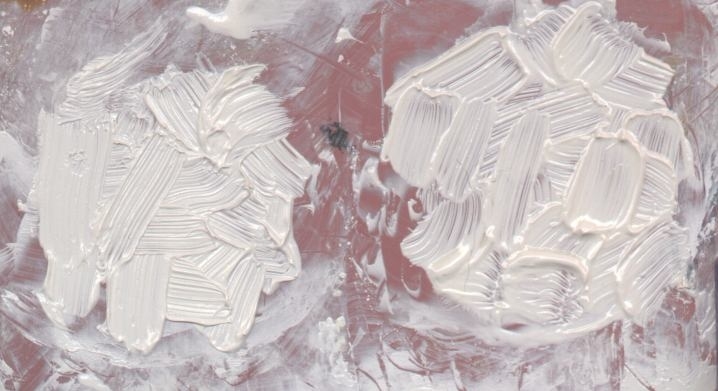 According to historically-common oil paint dictates, both whites were ground to an initially heavy-cream consistency (BTW, I am certain there were no adulterations of Zinc within my Lead carbonate). Results: with the Walnut oil-made paint, the effect of Gentileschi's "Amber Varnish" was a most-definite softening, yet the paint "stood" ; by contrast, the Linseed paint simply stiffened and became sluggish in mixing. Application of the compounded paint to a dry oil-primed ground also showed a difference between the Walnut and Linseed-ground whites; it was very easy with the Walnut white, and I would certainly describe the paint as flowing and slippery off the brush. Contrastingly, the stiffness of the Linseed white offered a definite resistence to application. For further insight, I rubbed up more Lead White paints using Linseed and Walnut separately, just to see the effect from the straight German Amber Varnish ( I wanted to know how important the thinning with Walnut oil was to the scheme). In like fashion to the Gentilesch Amber Varnish, I added a single drop of the straight un-thinned German Amber Varnish to both creamy-ground whites. Results: there was a definite stiffening with both the Lead white paints. However, the Linseed oil ground paint, though initially ground creamy in consistence beforehand, stiffened harshly with the single drop of straight Amber Varnish. Drag in application was experienced with each paint upon the dry ground, though, in similar respects to the previous sampling, the Walnut-ground white's resistence was comparatively much less noticeable to the Linseed version. "Melting" came on within the hour to both paints, but the Linseed-ground white exhibited the worst leveling by far (this effect is valued by some painters today who desire ultra-smooth enamel-like paint. However, it would appear this poly-oil effect was not cherished by some of the olden painters-- as I shall soon make mention, Anthony VanDyck being one ). For further clues, a batch of hard Copal Varnish was constructed to gauge its performance. A similarly-colored varnish was obtained. The same one-drop straight amounts added to the two (one Linseed, the other Walnut) white creamy-ground paint caused a very noticeable stiffening with both Lead Whites, and application was more difficult and dragging on the brush; and especially with the Linseed oil-made white lead paint, which became very stiff. No doubt about it, there was nothing in the manner of "softening" arising with the white paints. However, due to the stiffening, impasto using the initially creamy-ground whites was judged better than that obtained using the straight Amber varnish construction. Of course, drying saw a good bit of "melting" coming on and mostly into the thickest and greatly stiffened Linseed white. Two parts of Walnut oil were added to the Copal Varnish to make a medium, then again tried with the whites. It performed by stiffening both types of handground white. Though neither paint acquired the soft and flowing character obtained with the Gentileschi varnish, perhaps more thinning with Walnut oil would make it so....? I am aware of Coniferous resins being used historically to help fuse hard resins. I have made such Coniferous-type varnishes many times before, with and without a hard resin; again, one cannot decide the value of the old varnishes unless one makes up and puts these materials into painting use-- and with handground paint. There is a recipe in Eastlake given by a primary 15th century source named DeKetham for an Amber varnish with a high percentage of coniferous resin added to the batch. DeKetham wrote this varnish would be "serving for all colours". Noting the Getty researchers finding of the rosin and Copal in the one final varnish allowed my curiosity as to the results of this combination in an oil varnish (though I believe the Getty researchers have found a spirit Copal/Rosin varnish instead).... and also such a varnish later thinned with Walnut Oil. This in mind, I constructed a third varnish made with an equal quantity of Venetian Turpentine to Hard Copal and fused the two before combining all to a string-consistency with three parts of boiling Linseed oil. Results of one-drop usage showed a very firming-up of the initially creamy ground white lead paint; Again, there was nothing in the manner of softening. Application was dragging but the paint maintained an excellent impasto though it "melted" more and was dragging most with the Linseed compounded paint. Walnut oil was slightly heated into the varnish using 2 parts Walnut to one of varnish to make a medium. Results were on arguably equal par with the recorded and supposed Amber varnish medium of Gentileschi. The white lead paint ground in Walnut was soft and delightful in application again. Obviously, the rosin resulting from the VT was helpful to the Copal in this respect; it added something amenable to painting-ease. A fourth varnish was constructed using Venetian Turpentine with the Baltic Amber and Linseed fixed-oil. Results fairly matched the original pure Amber 'Gentileschi's Varnish' medium once this Amber/VT-resin was thinned with two parts Walnut oil. Thus, this painter could see no definite advantage in using Venetian Turpentine to get soft and flowing paint, unless it was with the Copal varnish, and that version as well as the other types still needed two parts Walnut oil added for the proper effect. Might this go some ways towards actually substantiating the Getty researcher's thinking? I would agree it might....if what the researchers found was an actual oil varnish. I will add one more note here: after drying came upon their surface (several days), all the Linseed-based impasto samples, regardless the resin varnish used, began to exhibit wrinkling. No wrinkling occurred with the Walnut paint samples (and now months later, still no wrinkling). Doubtless, this wrinkling effect is due to the poly-like oil constituent of the oil varnish used in conjunction with Linseed oil ground paint. The high temperature required to melt the resin into the oil allows that oil to pre-polymerize. Though the resin content will not allow the paint to run down the vertical support, it does not stop the oncoming shrinkage engendering this nasty drying side-effect. I have found the following through much experience: thick Linseed-based paint containing no stabilizers will exhibit this surface wrinkling malady; but oils that dry throughout themselves-- like Sunflower, Poppy, and Walnut, hardly suffer this effect. I pre-suppose there are many who will say these simple fresh paint tests are not very "scientific". Granted, but you may be certain they are AUTHENTIC; you see, these very same tests are what painters like Orazio Gentileschi would have used for their own trial and error knowledge. Gentileschi needed nothing more "scientific" than his brain plus the sensitivity of his hands and eyes to judge and experience what best suited his needs as a painter. In the same manner, we who are not scientists today receive the added benefit in that we can witness the excellence of Gentileschi's surviving and nearly 400 year-old paint. But why did Anthony VanDyck not see a benefit with Gentilschi's varnish? Based upon these few simple tests and one other consideration, it may now become apparent. I supply the following history: DeMayerne attributes to VanDyck a telling note and he records such in his manuscript on the 30th of December, 1632. Under the heading of "Sir Anthony VanDyck, Knight, a very excellent painter", DeMayerne quotes that master portraitist: " N.B. Oil is the principal thing which painters should be choice in, endeavoring to have it good, colourless, fluid; If it be too thick, it alters all the finest colours, especially the blues and whatever is made with them, as the greens.....Linseed oil is the best of all the oils; it even surpasses nut oil, which is more fat, and that of the poppy seed, which becomes so and easily thickens." It is exceeding likely the Florentine Gentileschis were aware of the difference between paint made with Walnut oil versus that made with Linseed. Artemisia specifically mentions the addition of Walnut oil when she communicated the recipe to M.Laniere-- there is no mention of Linseed Oil. I must presume the Gentileschis realized the stiffening interaction between Linseed paint and Amber Varnish. They likely used Walnut oil even for their color-grinding, and it rewarded them nicely with easy application, excellent color, and tough, long-lasting and wrinkle-free paint. By contrast, DeMayerne had no knowledge of the difference between Linseed versus Walnut oil-use and their interaction through paint make-up with a common Amber Varnish (or Gentileschi's excellent medium made therefrom). He was plainly puzzled by VanDyck's negative experience. He left the matter un-resolved to time, yet, and thankfully, he did record VanDyck's descrepent experience. Thus, it comes down to us and provides us another world of insight. And so it does appear the historical words of DeMayerne and Gentileschi are exactly supported by simple trial and error (the root route of all learning) with fresh paint. The German Amber varnish was indeed a useful additive to the paint of that golden period, and especially so to Walnut-based paint. As for the two parts Walnut oil dilution, I have found the amount of oil necessary to make the Gentileschi Amber Varnish behave properly depends on how strong the "parent" straight Amber Varnish is/was in resin-content. Knowing this historical effect has allowed me-- by observing fresh paint-- to fairly guess just how much Amber the straight German product contained. BTW, when thinned with three parts Walnut oil, German Amber Varnish also works rather well with Linseed oil-ground paint; the whites somewhat soften and do flow from the brush. However, the Gentileschi version (2 parts oil to one varnish), due to the negatives over wrinkling of heavy impasto and sluggishness beneath the brush, seems much better suited instead for Walnut-ground paint. I'm thinking the straight Amber varnish product noted in DeMayerne as being "similar to the common German Amber varnish" and which was "kept throughout Italy by all vendors of colours" was in great favor likely because of that country's common use of Walnut oil for paint-making. Orazio Gentileschi was doubtless not the only Italian painter to know of this pleasant use for Walnut oil with Amber varnish. Again, without further compounding, a slight droplet of the straight Amber Varnish would do wonders for simple knife-compounded and creamy-ground Walnut oil paint. (I have found the Gentileschi Amber medium works great with modern tube paint, too, though that paint must first be brought to the same creamy consistence of handground. With the thicker brands of paint, this may necessitate thinning with-- preferrably-- Walnut oil before adding the drop of Amber medium). Getting back to the modern conservator's scientific analysis: I have gone over the Getty research from the Burlington Magazine and find it to be compelling in some ways not promoted by the report. It makes interesting reading and provides good thoughtful info for the painter, the researcher, or the varnish-maker among us. As I understand the Getty researcher's own views, because of their finding with the second transparent surface varnish-layer, Orazio Gentileschi's 'Amber Varnish' was quite possibly not Amber at all but more likely a Copal/ Rosin varnish instead. Again, the researchers base this idea primarily upon their own finding of the Coniferous rosin and Copal resins making up the transparent final varnish-layer, and hoping this varnish was applied to the work by artist Gentileschi. The researchers also ply the notion that a vague understanding existed among artists and varnish-makers within the 1600's between what was Amber and what was Copal. They conclude these hard resins might well have been confused or substituted for each other on a regular and widespread basis. By way of dispelling this notion, here are some further considerations; and at the outset, know that I would agree there are similarities betwixt these two aged and hardened resins. Of course, some among us could readily accept these notions of ambiguity outright, as they play alongside current 'inability-to-detect-resin-use-within-the-actual-paint-of-the-old-master-works' research circulating powerfully among the oil painting realm. But others would be hesitant in acceptance. Myself, I would much like to know what those "highly" Ultraviolet-light fluorescing underlayers found throughout the "Lot" paint build-up contain in the way of resin-type. I believe those particular layers were almost certainly applied by Orazio Gentileschi. I read nothing in the magazine article to cause me to accept these ultraviolet fluorescing and very likely oil and resin varnish-layers as simply more Copal and Rosin varnish (either oil or spirit). I have made all sorts of Baltic Amber and hard Copal varnishes and I cannot as yet understand how any experienced varnish-maker could be confused between these two resins. Admittedly, this painter has not tried every Copal under the Sun. I might suppose that with no Alcohol handy to test for Copal's inherent tackiness, Jewelry makers might have some problems initially (but only initially) identifying the two resins by mere visual means; I readily agree some raw pieces of today's Santander hard Copal look like Baltic Amber (interestingly, all the hard Copals I've played with also float in salt water--just like Baltic Amber). That all considered, I must submit a couple of strong differences between these hard resins: Thankfully, we are given other senses besides the visual to help us judge life's puzzles. For instance, using my own hands and muscles, the actual and simple act of pelletizing or pulverizing the two un-fractured resins in preparation to cooking them into an oil will leave me no doubt as to what is my Amber and what is my hard Copal; the Amber shatters and pulverizes with amazingly much more difficulty. I would fairly guess it takes about 5-times the effort to reduce Amber to a varnish-ready state. You see, Amber is less brittle than Copal; it is very resilient to cracking (a good tobacco pipe-stem can be made of Amber). Aside from the toughness aspect to the hands, my nose can also tell the difference easily between cooking Amber and Copal; the aroma given off by Amber is-- believe me-- unforgettable; it stinks! Favoring the Historical Word .....and Resin use.. In lieu of recent scientific investigation showing resin-use identified most often within the final or surface-layers of "Old Master" paintings rather than within the actual paint itself, the findings supplied by the Getty researchers do actually shed some possibilities favoring the historical word. Today and to many, it is more interesting to find error with the historical word. In our times, fame and often fortune await those seeking to revise history; mere knowledge awaits those who revere it. I suppose substantiating history IS rather boring. Still, we should greatly value the historical word lucky enough to have found its way into print. Such was a rarer happenstance 'back then' as compared to now when anything and everything comes to us through the wonderful media network we share ( I marvel at what I can do from this keyboard before me). Experts do often disagree on matters of science...and everything else, including the historical written word. Thus, we are often left with judging phenomena with our own senses and life-learned experiences. There is only good from this; we, as practicing and skilled painters have the ultimate means to discover the same simple truths found by those simple souls who preceeded us upon this Earth. We who practice our chosen and honorable craft, do so because we love it! We don't need special grants or funding to accomplish this. Theodore T. DeMayerne stands as a primary historical source from a time of relative silence concerning painting technique; as such, his writing is a veritable worded-window to other past masters like Rubens and Van Dyck; we should be very careful how we receive and treat him. For myself, and through my own experiences with painting and varnish-making, I have found no reason yet to doubt this man's words; in fact, as shown above, my own experiments played against historical technique do support him. We often read of Science's role of finding confirmation for the historical word. As noted already, analysts today performing tests on old master paint chips have not found much in the way of resin-use. That's a strong statement but, put another way, it is just as truthful to say this: modern science has FAILED to find much in the way of resin-use within the old paint. Why can't our researchers find these resins which history clearly maintains were often used with the handground oil paint? As a painter and practiced varnish/medium-maker, I am one who has fostered the possibility that a resin incorporated within an oil, such as Linseed, to a state of perfect clarity may well escape detection by our modern-day researchers owing much to that very same perfect compounding; I strongly suspect change on a molecular level during this heat-compounding (though Amber varnish still smells strongly of succinic acid just after manufacture, this aroma goes away soon after). Secondarily, importantly, such an oil varnish might also escape detection due to its sparing need. Think about it; suppose the common German Amber varnish contained 20 % Amber to 80 % Linseed or other oil. Realize, with a 25 cent-piece sized and rounded blob of handground paint, a scant drop of the resin-in-oil varnish is all that is necessary to impart the desired effect. Also note the above mention of Gentileschi further diluting the Amber Varnish with two parts raw nut oil before use. When this is considered-- along with the overwhelming pigment and usual grinding-oil amounts necessary to the initial paint's make-up-- pure resin detection and exact identification would seem almost a miracle to my mind. However, by strong comparison, a spirit varnish made with a resin and an essential-oil, and used commonly as a gloss-giver and protectant upon the surface of paintings since the 1600's, would remain pure and thus easily detectable. You see, resins come into the world as a fluid exudate from the parent flora. Though eventually hardening as their essence is evaporated, they can be re-dissolved with an essential-oil back to the fluidity of their 'youth'. This re-dissolving with an essential-oil in no major way harms their final "dried" 'fingerprint', thus allowing modern detection of resin-use primarily upon the surface of the work and not throughout that work, unless the spirit varnish had been utilized as an isolating layer (retouching varnish) between paint-coats. Those Two Final Varnish Layers....? As a final picture varnish, Mastic spirit varnish was popular within the 1600's. Mastic resin never truly "dries" and, depending on things like heat and humidity, can soften and accept/collect microscopic dirt as the years go by. This property alone may account for its darkening. By the 1700's, Mastic varnish was well-known to deteriorate and darken. Also, though easily removed, it was discovered that certain final and delicate nuances to the original painted work--such as thin glazes and scumbles-- still often came off during the removal of the Mastic top-coat varnish-layer. To solve this malady, in the early part of the 19th century a two-part varnishing practice was put forth by thoughtful technicians and gradually found favor within the conservation picture- varnishing trade. This successful practice involved using both a Copal Spirit varnish and a Mastic Spirit Varnish separately yet mechanically together as final top-coats. Now, admittedly, I do not know when Copal was introduced into the varnish and painting realm. We can find slight mention of this resin in DeMayerne and it is thought that Cuyp was a user of the substance. What is historically known is that Copal resin was arriving into Europe from two primary sources by the mid 1700's. According to the compilations of Dr. Leslie Carlyle of the Canadian Conservation Institute, one of these sources was the East Indies. These Copals were the buried and aged/ hardened Manila types that I understand are no longer found. As noted near the beginning of this paper, I know that hard Copal will dissolve rather easily when pulverized and added slowly into hot Venetian Turpentine (Larch balsam, and do realize, after the turpentine essence is evaporated off, Larch Rosin remains). This was likely the preferred method for making a hard resin Copal spirit varnish. After total dissolution of the Copal into the final Larch Rosin, the thick mass could be dissolved readily with hot turpentine to achieve a rather clear and bright spirit varnish. Of course, this hard Copal spirit varnish-- though it contained a large percentage of Larch rosin-- was still tougher to solvents than any soft Mastic spirit varnish. As to developing a specific time-frame for use, writers like J. F. Merimee in his 1839 book ("The Art of Painting in Oil and in Fresco...", London) proposed this two-part varnishing system whereby a Copal Spirit Varnish was first put upon the dried painting and this would be followed by a "sacrificial" final coat of the softer Mastic Spirit Varnish. Though French, Merimee was a traveler to Italy and may have actually picked this idea up from that country. Anyway, the use of this two-part varnishing system would keep the final and thinly-painted nuances (scumbles, glazes) from being attacked by the simple solvent required to one-day-in-the-future remove the deteriorating soft Mastic Varnish. You see, the tougher Copal varnish layer would stop the mild solvent attack dissolving the Mastic varnish from reaching the actual paint-layer. Though very successful, this system was essentially dropped during the later part of the same century. According to Anna Southall of the Conservation Department of the Tate Gallery in London, the earliest paintings incorporating this two-part varnish system yet found by her department are indeed from the 1830's ( "Turner and His Contemporaries: Their Materials, Practices and Opinions", London. Circa 1994: Southall notes one work which may have utilized this two-part varnishing system as early as 1827. Trouble is, without written historical notice, no one, including myself and the Getty researchers, can absolutely discern if a painting received its final varnish, or varnishes, upon initial completion or many years later). Getting back to the problems of resin identification , if our researchers are performing tests and looking for pure amber 'fingerprints', why simply assume they will succeed in their quest if that Amber resin was perfectly dissolved and thereby intimately combined into a hot fixed-oil? I do wonder if any research has been done as regards 'fingerprinting' actual Amber or Copal oil varnishes. Of course, I also wonder if any scientists have managed to even construct an Amber Varnish. Yes, it is dangerous activity, but it can be done. Have the researchers made Amber Varnish, say, in the manner of the 'German Amber Varnish" of Orazio Gentileschi's day? From what I have read, Dr. Leslie Carlyle of Canada has been successfully re-creating some of these or similar resin varnishes. I applaud her efforts, and I hope for other's placing their time into the same endeavor. The Getty researchers provide much interpretation within their article and it is very interesting. Obviously, based upon DeMayerne's reporting AND the Getty research, Orazio Gentileschi found resin-use a valuable ingredient to his paint make-up of nearly 400 years ago. As a practicing Landscape Painter and one who is using handground paint today, I have found the same benefit derived from these simple natural materials. Based on my own experience and observations, as well as a careful regard for history, I have no doubts varnishes containing resins have also performed valuable service to many past masters of Oil Painting. Surprisingly, down through the ages, there has been no mention of the differing reactions or benefits obtained by mixtures of Amber varnish with Linseed and Walnut ground paint. The secret of how Gentileschi used his Amber medium with Walnut oil-ground paint and why it performed to his satisfaction was hidden. There is nothing in Laurie, Mayer, Doerner, Taubes... anyone--including the most up-to-date. Of course, painters of our times have been aware of the stiffening nature of Copal Varnish added to their paint; Frederick Taubes does mention Copal varnish stiffening his Lead White. Still there is nothing noted concerning Walnut ground paint. BTW, excepting Taubes, all the aforementioned and learned authors write of Amber and Copal Varnishes using negative words and virile condemnation. Apparently, their info was not obtained by any simple trial-and-error testings (Mayer-- and, to a lesser degree, Laurie-- maintained Amber Varnish was an impossibility-- that it simply could not be combined with any oil, nor was it actually used in historical oil painting). Many in the oil painting realm today object to resin-use and the aged hard-resin varnishes as a means to better and lasting painting technique. This is nothing novel; I wish to point out, again, there were strong arguments surrounding use of resins even during the 1600's ( Richard Symonds notebooks recorded during his Italian journeys in the early 1600's reveal this as fact). And, among those who supported resin-use, there was often vehement disagreement as to whether the oil varnishes or the spirit varnishes were the true means to painting perfection. Interestingly, as the 1600's progressed, history shows the tough oil varnishes being cast aside in favor of the weak but "new" and lightly-colored spirit varnishes. Except for a strong resurgence during the period of years from about 1850 to 1920, oil varnishes are still taking second place to the spirit types; thus we have gleaned nothing more than never-ending vexations. The old arguments continue; nothing has really changed in 400 years. These simple issues regarding resins and what type mediums for their use seem as cloudy and muddled today as ever. And yet, behind it all, the proof for what is perfectly safe and reliable has indeed come down to us; we can see it all with our own eyes... as oil painters, we may judge for ourselves. And Modern Science can be very helpful. This painter's thoughts and experience with Amber versus Copal, spirit versus oil varnishes notwithstanding, the Getty research agreeably shows the use of some resins to be helpful to oil painting and not harmful. Again, I am fully cognizant this idea of resin-use goes against many today who promote a "pure oil technique" (I place the quotes as most painters today use commercial tube paint containing additives, and that same paint is very often anything but pure oil-and-pigment paint. Those wishing to use pure oil paint today should almost necessarily grind their own; a good thing as it is truly an eye-opening experience). Still, the excellent condition of the nearly 400 year-old "Lot and his daughters" painting does indeed show -- by the ultraviolet fluorescing paint layers found during the Getty examination-- resin-use likely maintained throughout that aged work from start to finish, and that this resin-use was safe, not darkening, nor in other ways deleterious to the paint. It may be actually credited as the means to the excellent condition of that work. Whether this resin is simply more of that Copal/rosin type found by the researchers atop the paint but below the darkened and easily-removed final varnish layer remains a question for Modern Science. For myself, there is no such quandary. I believe we should cherish and guard the historical word ; and not be so quick to revise it in light of 'modern' thinking. In this case, my own trials have allowed me to fully accept the historical word; I am confident the highly-fluorescing and likely resinous media occurring within and throughout the many paint layers of the Gentileschi masterpiece can be nothing other than that master's very own Amber Varnish. My thanks to Figure Painter James Morton of Columbus, Ohio, for putting me in touch with the Burlington Magazine article exploring the Getty Museum research. Mr. Morton has a firm grasp both on his brush and the historical word. An excellent review of Mr. Morton's works can be accessed here. The DeMayerne Manuscript provides an amber varnish formula for "Lute Maker's Varnish" . The ingredients given are Carabe, distinctly said to be amber, and this then melted under great heat to a colophony ; this colophony then powdered and heated together to dissolution with linseed oil which has been previously "defatted" and cooked with litharge. This formula is written twice in the manuscript, and, it can be noted, is the very same formula mentioned by Eastlake in 1848 for what he called the common "German Amber Varnish" of the 1600's. Because of its historical value and significance, we now offer this "Lutemaker's Varnish" to artists. This varnish is listed as "Venetian Amber Varnish" on our mediums page and online ordering form. Click here to visit our Gallery page. Click here to visit our Mediums page.